In my work as a scientific hand analyst and business mentor, one of the most powerful groups of markings in the hands are the “heart lesson” markings. 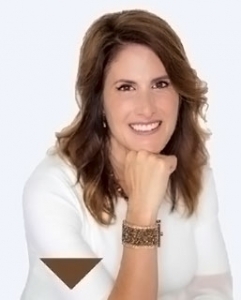 Discovering which of these markings you have and then engaging with the lessons they wish to impart can be truly life changing because even one of these markings, if ignored, has the power to overtake your life. These markings show up some of the time. When they appear, they are important to be considered. The more of them a person has, the more challenging their life can be. Each marking has a master and student path. However, the student path tends to override when there are multiple heart lesson markings. I will refer to “student path” and “master path.” “Student path” feels yucky – challenging, resistant, difficult, frustrating. “Master path” feels good – awakening, joyful, in the flow. There are 21 heart lesson markings in total. At one point, I had 19 of them in my hands. Whenever I would teach a class on heart lesson markings, I would be depressed for three days afterwards grappling with all the ways my life was asking me to take my power back. The good news is… hand lines can change. With growth, these markings can fade and even disappear. This power giveaway is the heart lesson and the heart lesson initiates a deep spiritual journey, the journey to self-love. The essence of understanding the map in your hands is to understand yourself and develop true love and appreciation for yourself. In my work, I am continually startled and saddened by how many people have low opinions of themselves or too high opinions masking low opinions. May your heart lessons bring you home to your own heart. Here is a list of the 21 heart lesson markings. This article will explore the Via Lascivia. Master Path: escape; exploring consciousness; unusual life styles; living in freedom from limitations; sensual; sexually experimental. Student Path: avoids or turns away from inner voice; feels contained by limitations; escapes or has addictions. If you possess this marking (in either or both hands), you may experience a constant desire to break free from restrictions and limitations you feel are imposed upon you. You could perceive these restrictions as being the moral codes of those around you, laws enacted by society, limits set by loved ones or even a code of dress. You may find traditional beliefs or customs tedious. You seek out and find your own path, to explore beyond current visions, limitations, and boundaries. You like to escape from everyday responsibilities and may chase after excitement. People may be drawn to your risk-taking nature and adventurous spirit. You are constantly pushing limits, in order to improve your personal best or maintain freedom. You rarely follow the crowd. 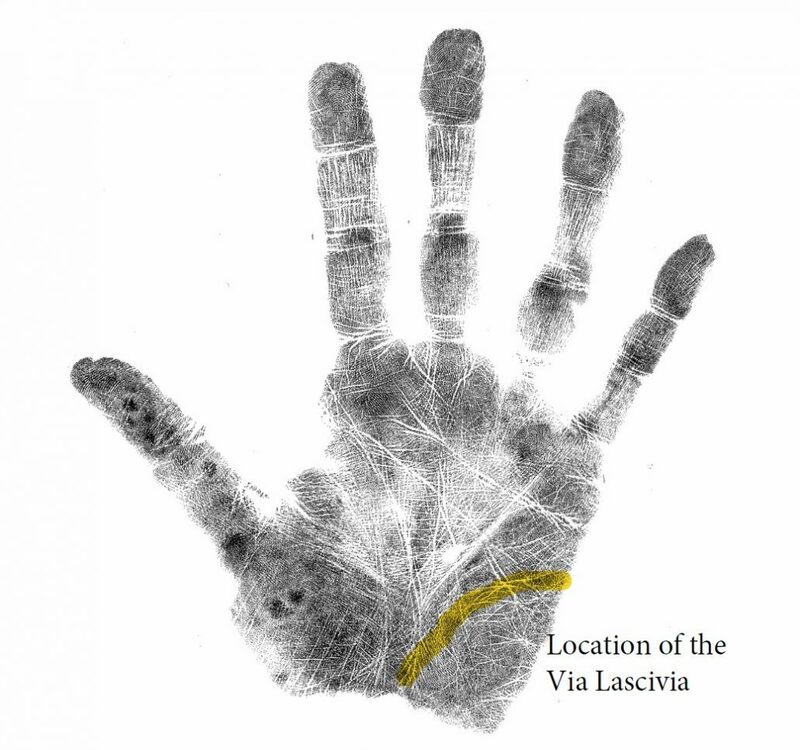 Multiple Via Lascivias in your hands? Boredom is a BIG challenge as is freedom. If you possess this marking, your life may be punctuated by episodes of unexpected adventure or shocking events that you did not anticipate. We sometimes take a risk with our intuition, overlooking what we know is best for us in favor of what seems exciting, dangerous or intoxicating. The cost of not listening to our intuition in these instances can lead to danger. Like Icarus flying above the ocean, not listening to the warning of his father, Daedalus, to stay near him and not soar too close to the sun or the wax holding his wings together would melt, the cost can be falling into the ocean and drowning. 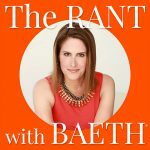 3 REAL LIFE STORIES of “The Mask” 01 Welcome to The Rant with Baeth – Who Do You THINK You Are?